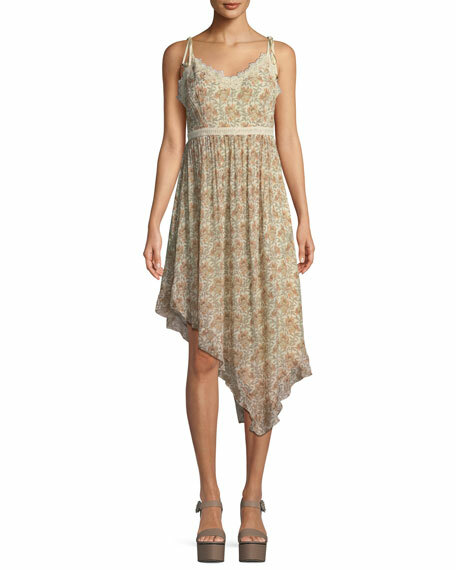 Paige "Aubrey" dress in botanical print silk georgette. 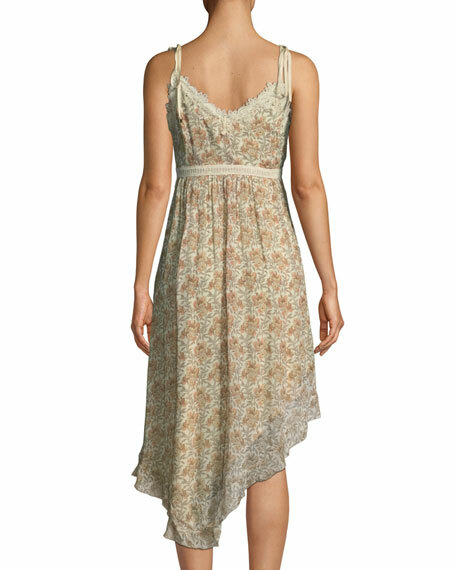 Delicate lace trim and ribbon strap ties. For in-store inquiries, use sku #2571871.